Abstract: Malaysia and Singapore are two countries in Southeast Asia with the highest percentage of overseas Chinese among its population. The presence of these groups can be attributed to colonial heritage and both countries practice plurality where ethnic groups are not encouraged to intermingle with others but instead remain in solidarity with their own. The general difference between these two groups is the status they possess in their respective countries; they represent the majority ethnic group in Singapore but remain a minority in Malaysia. As both these groups possess different standings in society, so to will this influence their perspectives and approaches to the world. In a study on how media users make sense of pirated media and online streaming services, I find that there are differences between Malaysians and Singaporeans of Chinese descent and how they understand and value their entertainment media. Using data that is analyzed through the lens of Social Cognitive Theory (SCT), I will explore the various ways in which two groups of overseas Chinese, with similar shared histories, can have drastically different perspectives of their world as a result of their local culture, context and government. 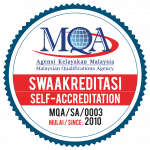 Through the SCT framework, I find that participants in Singapore and Malaysia have different understandings of the concepts of self-efficacy and self-regulation which greatly influences their personal evaluations of self-responsibility. I will be presenting my findings on the interplay between personal agency and local context and how both these groups of overseas Chinese differ in how they value everyday things as they inhabit their local spaces. About the Speaker: Benjamin Loh is a media scholar and the current senior research fellow at the DAP parliamentary research office. He has had a varied background with a Bachelor’s in Computer Science from the University of Malaya, a Media Studies and Southeast Asian Studies Master’s from Ohio University, and is awaiting his defence on his PhD in Communications and New Media at the National University of Singapore. This diverse academic history allows Benjamin to explore the confluence between media and technology and how they influence society and cultures at large. Through both his published articles and earlier academic work, he has explored issues such as recreating physical spaces in online video games and using media to understand class and social structures. His PhD research looks at how pirated media affects how regular people make sense of their media and how it affects their use of it. By understanding how Malaysians make sense of their use of media, Benjamin believes that will reveal better insights into contemporary society that will eventually bridge the digital divide of privilege. His current work focuses on the state of the media in New Malaysia and focuses on media reforms.